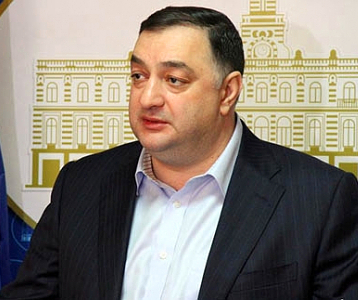 TBILISI, DFWatch–Representatives of former Defense Minister Irakli Alasania’s party have withdrawn as a faction in the city council. The reason, they explain, is ‘incompatibility’ with his party, the Free Democrats. The Free Democrats Party was a member of the Georgian Dream coalition until the political crisis in November, 2014, caused by the detention of Defense Ministry officials and the signing of the air defense deal with France. Irakli Alasania on Friday held a press conference to offer more details about the signing of the deal. Afterwards, the Free Democrats’ members of the City Council, who used to have their own faction, said in a statement that they are withdrawing from the party and dissolved the faction due to ‘incompatibility’ with the Free Democrats. When asked by DF Watch, Giorgi Muskhelishvili, former Free Democrats’ faction member of the council, didn’t specify what exactly it was that they didn’t like about the party. “This is our internal business, we don’t want it to be public,” he told us. None of the members of Alasania’s party wants to comment about this issue. Even though the Free Democrats have been in opposition for five months and its members of parliament have shown a principled and critical attitude toward the government, former members of the Free Democrats in the City Council did not act the same way. They mostly voted with the ruling coalition. Some expect that they will now join the ruling coalition, but it is not clear in what way. They may possibly register formally as a faction which will align with the coalition. Approval from three council members is enough to create a new faction. There were four members in the former Free Democrats faction. By setting up a faction they will have certain advantages during decision making.